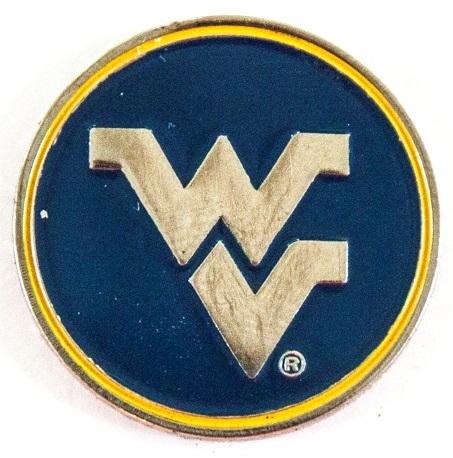 TRINITY, Texas (April 29, 2016) – Max Sear moved up 16 spots in the standings in the second round to lead the West Virginia University golf team after 36 holes of play at the 2016 Big 12 Golf Championship at Whispering Pines Golf Club in Trinity, Texas, on Friday. The Mountaineers are in tenth place with a 36-hole score of 311-314=625 for 49 over par. Defending champion and No. 1-ranked Texas is atop the team leaderboard at nine over par with a team score of 585. No. 6 Oklahoma State is second with a 592 at 16 over, followed by Texas Tech in third at 17 over par with a score of 593. Sear, who struggled on the front nine of the first round, recorded just a bogey on No. 13 on the back nine to finish the first round seven over par with a 79. He then made a trio of birdies in the second round to shoot two over with a 74, finishing the day at nine over par with a 153. Easton Renwick capped the first day with a score of 77-79=156 for 12 over par. He registered three birdies in the first round, but was limited to just on in the second. Renwick is tied for 34th place. Chris Williams also had a tough start to the first round, shooting 11 over par for a score of 83. He overcome a rocky start on the front nine of the second round to post a relatively clean scorecard on the back nine, making par on eight of the last holes to card a 77 for five over. Williams posted a two-round score of 160 to sit tied for 42nd place at 16 over. The first Mountaineer to tee off in the tournament, Alan Cooke got off to a hot start with a birdie on No. 3 as he made the turn at one under par. Despite a birdie on No. 13, back-to-back triple bogeys hindered his progress as he finished the round seven over par with a 79. He couldn’t get back on track in the second, shooting an 84 to finish the day tied for 46th place at 19 over par with a total score of 163. Tristan Nicholls posted a clean scorecard on the first nine holes, finishing even par before struggling on the back nine to shoot four over par with a 76. He carded a 91 in the second for a score of 167, sitting in 49th place at 23 over par. Paired with Iowa State for the third round, the Mountaineers tee off on Saturday morning starting with Nicholls at 10:07 a.m. ET. Cooke tees off at 10:16 a.m., followed by Williams at 10:25 and Renwick at 10:34. Sear rounds out the group at 10:43 a.m. ET.